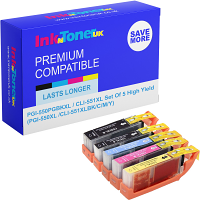 Home Ink Cartridge News Charity Tuesday! Do your bit for Charity Tuesday! Here at Ink N Toner UK, we do our bit for charity! We’re in partnership with Caring for Kids. Caring For Kids is a registered charity (Number 1117432) dedicated to providing a better chance in life for less fortunate children throughout Great Britain. Your empty cartridges will help raise funds for the charity because cartridges which can be used again have a value. When you send us your empty ink cartridges, we recycle them! So by recycling your ink cartridges with us, as well as doing your bit for the environment, you will also be helping the charity and therefore making a difference to the lives of thousands of children! When you buy from Ink N Toner UK you will receive a freepost envelope for you to send your empty cartridges! So send us your empties and do your bit for charity!